Kimely Theus joined Bloomberg Associates in 2016 where she works with the Marketing and Communications Team as the team coordinator and is responsible for all administrative tasks related to ongoing projects. 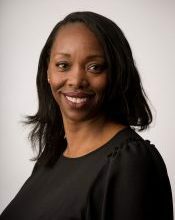 Prior to joining BA, she was an Executive Assistant to the Vice Chairman and Global Head of the Consumer Retail Group at Deutsche Bank and Sector Coordinator and Lead Executive Assistant at UBS. Kimely currently serves on the Board of Directors for Canfield Consortium, a community development organization in Detroit, Michigan. Kimely graduated from New York University.